I am currently a computer science major at the University of Pennsylvania. I enjoy looking into the newest technologies and exploring their potential. I am particularly interested in applying mathematics to the potential of computer science to help solve problems. I am a computer programmer from Upper Darby, Pennsylvania. 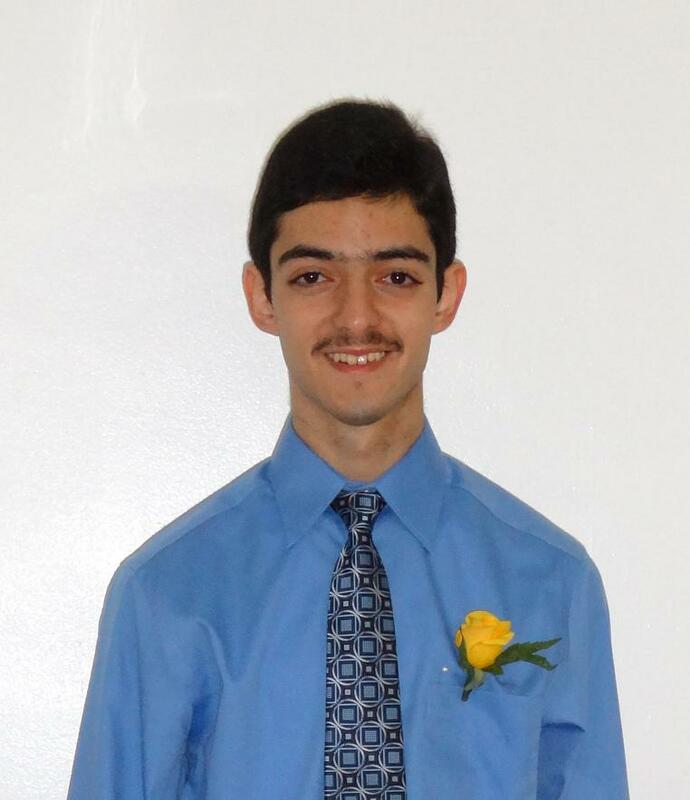 I graduated from Upper Darby High School in the class of 2013, and am currently a submatriculating master's student at the University of Pennsylvania studying computer science. I received my bachelor's degree in computer science from the University of Pennsylvania in May of 2017 along with a minor in mathematics. I am particularly interested in applying programming to mathematics to help identify new patterns and relations that can ultimately be used to solve problems. My main interest is software development, but I also enjoy mobile app development, computer vision, and web design. In my spare time, I also enjoy playing the violin and helping the community. 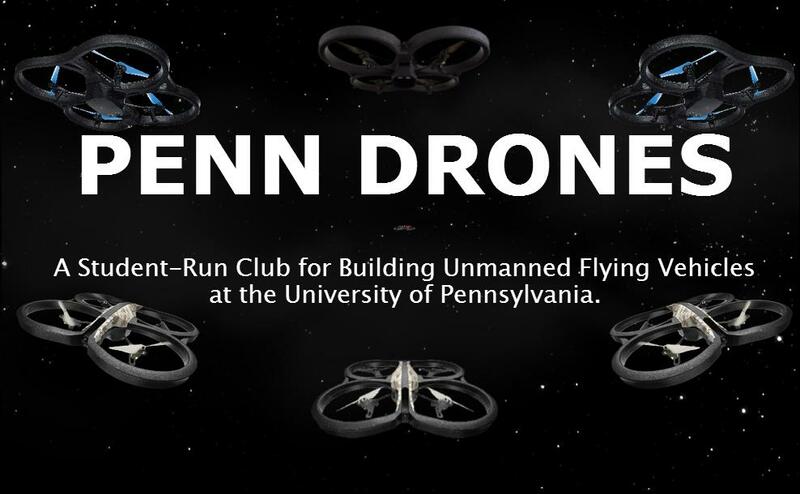 A parallax single-page scroll website designed for the club Penn Drones at the University of Pennsylvania. The website contains an assortment of animations that respond according to mouse scrolling. The site also contains a mobile-friendly version. 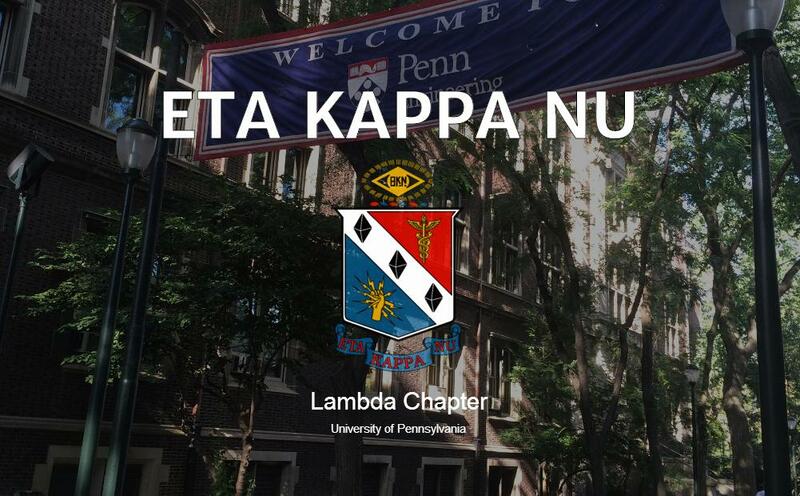 A formal website designed for the Eta Kappa Nu Lambda Chapter at the University of Pennsylvania. Parallax background images appear on every page along with occasional animaions. The site also contains a mobile-friendly version. 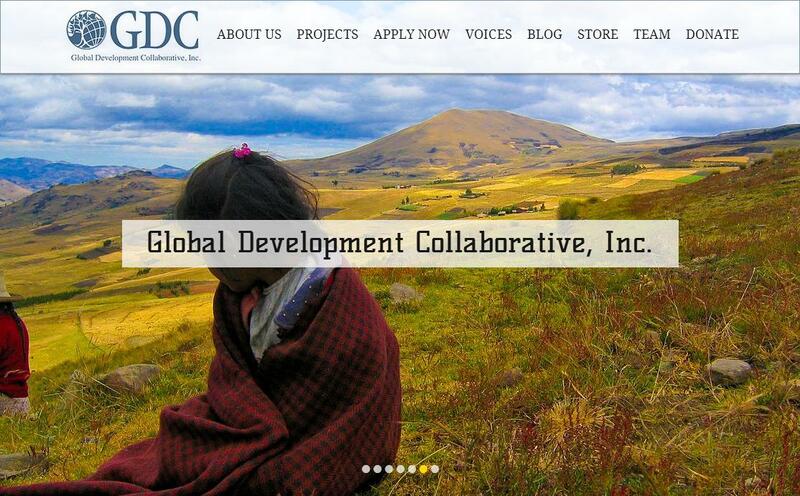 A formal website designed for Global Development Collaborative Inc. Built using Wix.com, the website contains parallax background images, a running blog with content filters, image corousels/galleries, and a contact/subscription form. 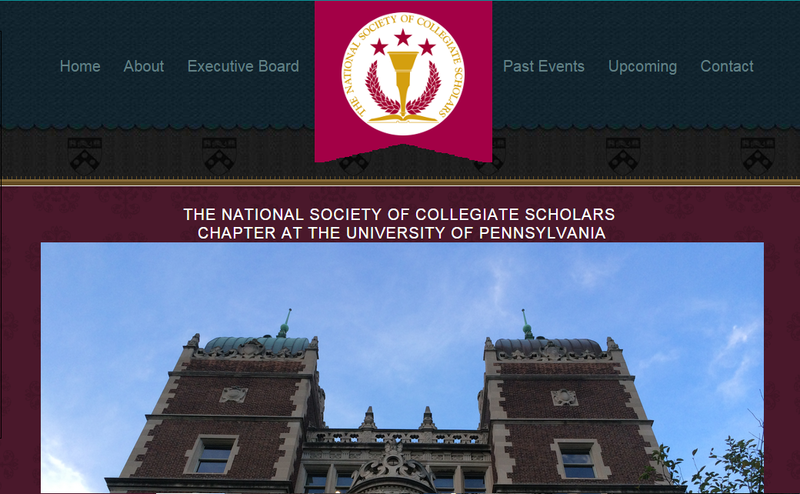 A formal website designed for the National Society of Collegiate Scholars Chapter at the University of Pennsylvania. 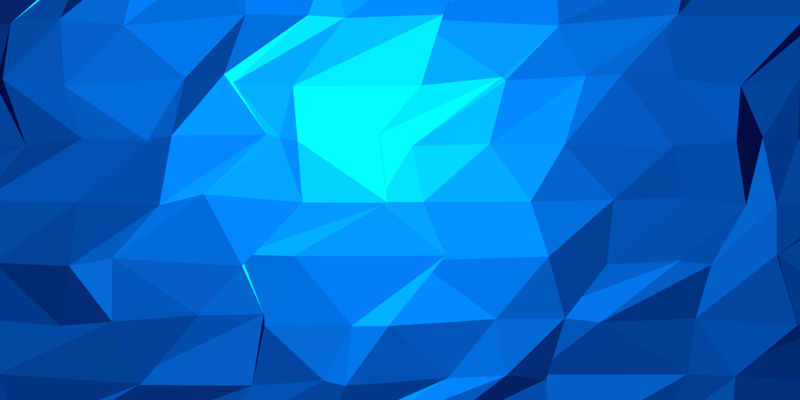 The website background is taken from an open-source template, which was modified to include section tabs and easing animations. 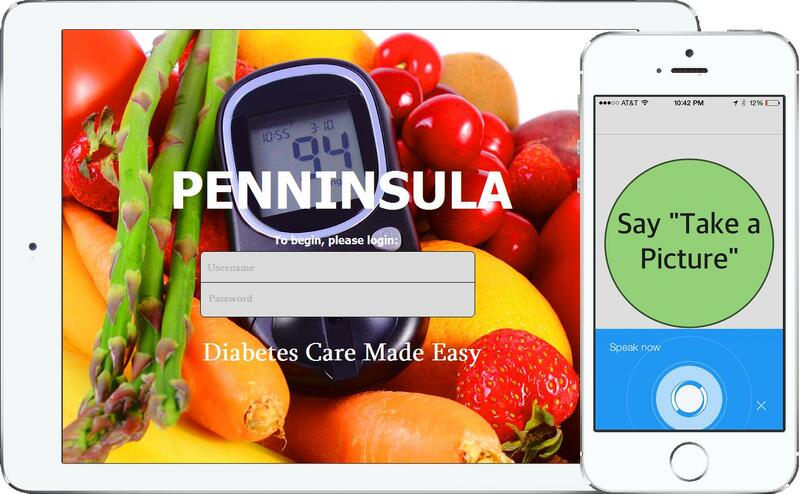 Penninsula is an iOS app that helps patients monitor their diabetes. Penninsula first helps patients detect symptoms of neuropathic foot ulcers through image processing and machine learning algorithms. Moreover, Penninsula helps patient control their diet by notifying them whether a particular food is healthy based on their current blood levels. Numerous reminders are also provided. Penninsula recieved "The Berkman Innovation Fund Award" for further development. 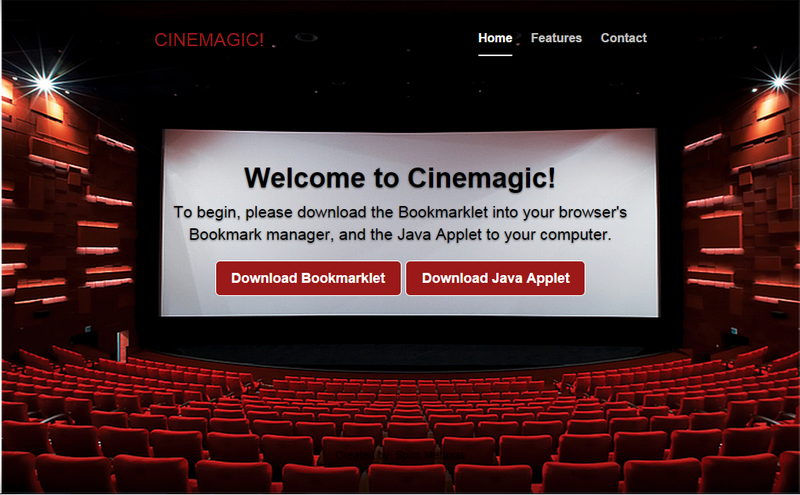 CINEMAGIC is a web application that performs search-by-image within YouTube videos. As a result, if the user wishes to find when a specific object appears visually within a video, then he/she simply needs to type the name of that object into Cinemagic, and Cinemagic will give the times where that object appears in the video. Language processing helps confirm term accuracy. 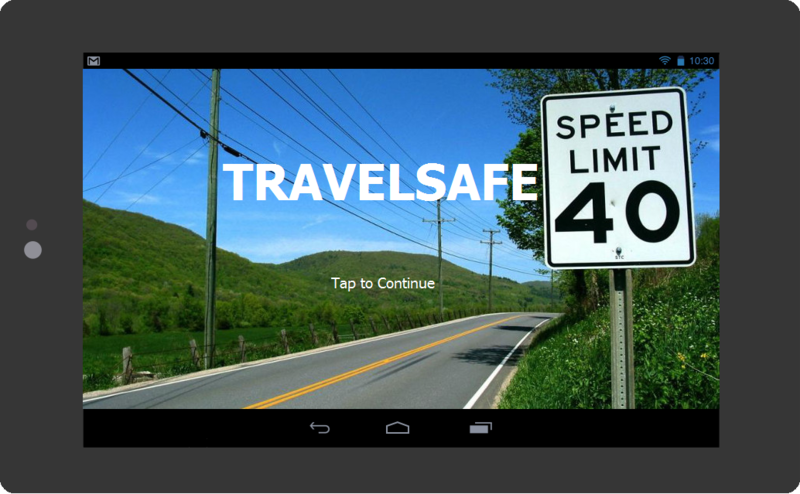 Travelsafe is an Android mobile app that notifies drivers when they are going above the speed limit. The app uses GPS data to obtain the current speed the driver is going at, compares it with the posted speed limit at that location which is obtained from a database, and notifies the driver verbally of any risks. Drivers are also notified verbally of upcoming stop-signs and areas known to have increased bike traffic. All features are completely hands-free. 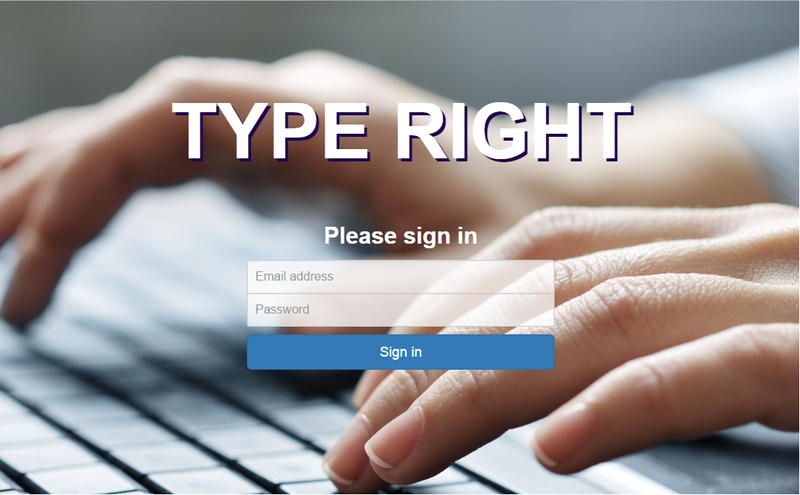 TypeRight is a web application aimed at strengthening password security. TypeRight checks if the user types the correct password, but also if the typing of the keyboard matches the user's typing style, in an effort to detect a hacker. TypeRight works by performing a statistical analysis on the latency times between keystrokes, and comparing the results to a record of the user's typing style that is stored to a database. 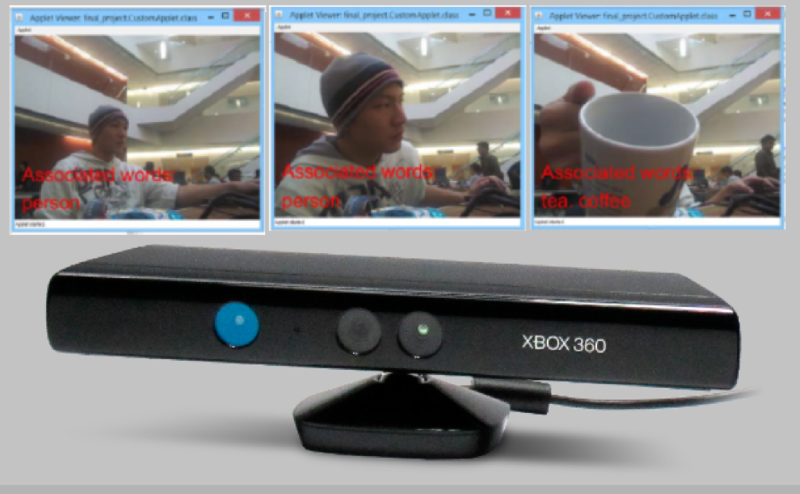 Kinect Vision Aid is an application that uses the Kinect RGB/Depth sensor to assist the visually imparied. Kinect Vision Aid first uses the Kinect's depth measurements to audibly notify the user when he/she comes close to an object. 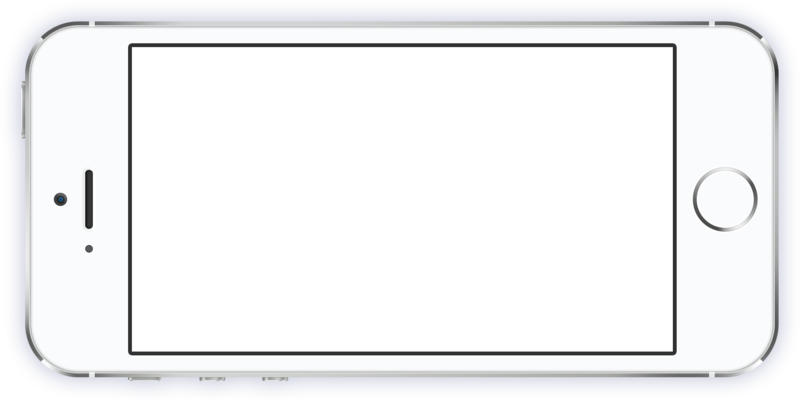 Additionally, the application uses image processing to verbally describe the appearance of nearby objects. Kinect Vision Aid was presented at Dragon Hacks 2015. 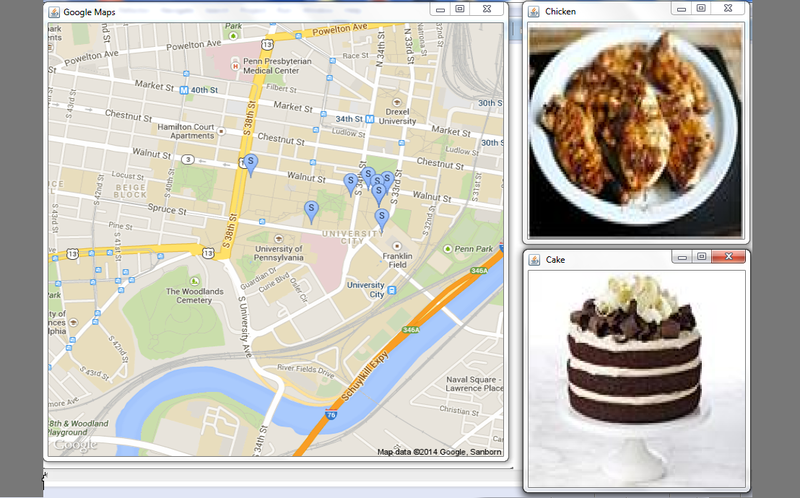 MEALSTEAL is a desktop application that informs users of nearby food locations. The user is informed of nearby events that contain free food, and is provided with pictures and a map to the location. Other users who have the app can post updates on current and new events that involve food. I worked with three other students on the project, which was presented at PennApps Spring 2014. 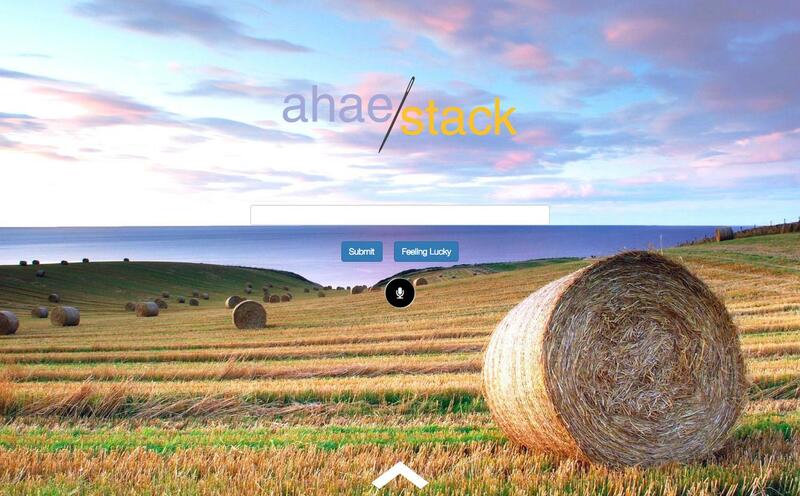 A search engine developed from scratch. Data was obtained by crawing 1,000,000 websites using a 3-node distributed crawler on AWS, and stored using MongoDB. Indexing involved an 8-node distributed indexer on AWS using Hadoop and HDFS. Term and document frequencies were computed for fancy and non-fancy words, and the PageRank algorithm was applied to weigh the results. Front-end features include spell-check, voice search, page previews, and numerous widgets. The project also includes an Arduino Internet of Things component. AhaeStack won the "Google Award" for best CIS555 final project. A distributed multi-user chat client developed from scratch. Total ordering is ensured using a TCP-based message sequencer built off UDP that detects out-of-order packets. A leader node handles client exit and crashes and maintains consistent state among the child nodes in the cluster. The bully algorithm elects a new leader when the current leader node exits or crashes, and lifeline pings differentiate between crashed and idle nodes. 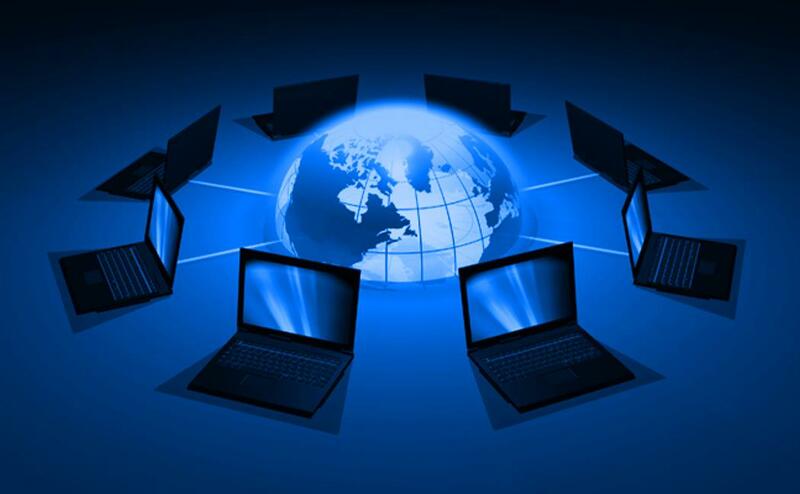 The project also includes encryption, a GUI, traffic control when the network is flooded, and fair queuing using a round-robin algorithm. An Android app designed for the Penn Working Dog Center built by three other students and I. The app records and processes the hours of volunteers and interns at the center. Data is stored to a database, emailed, and synced with a series of Google Spreadsheets. 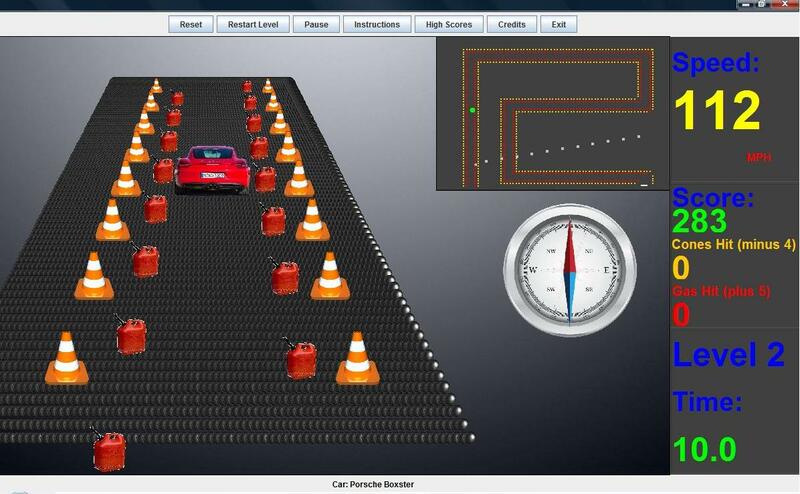 RACER is a console racing game composed of three levels. The game offers an overhead 2D mode, and a 3D mode using rotation, translation, and perspective matricies to achieve the desired affect. Points are awarded and deducted throughout the game, and high scores are recorded.